Please ensure to leave a contact phone number when placing your order with us. 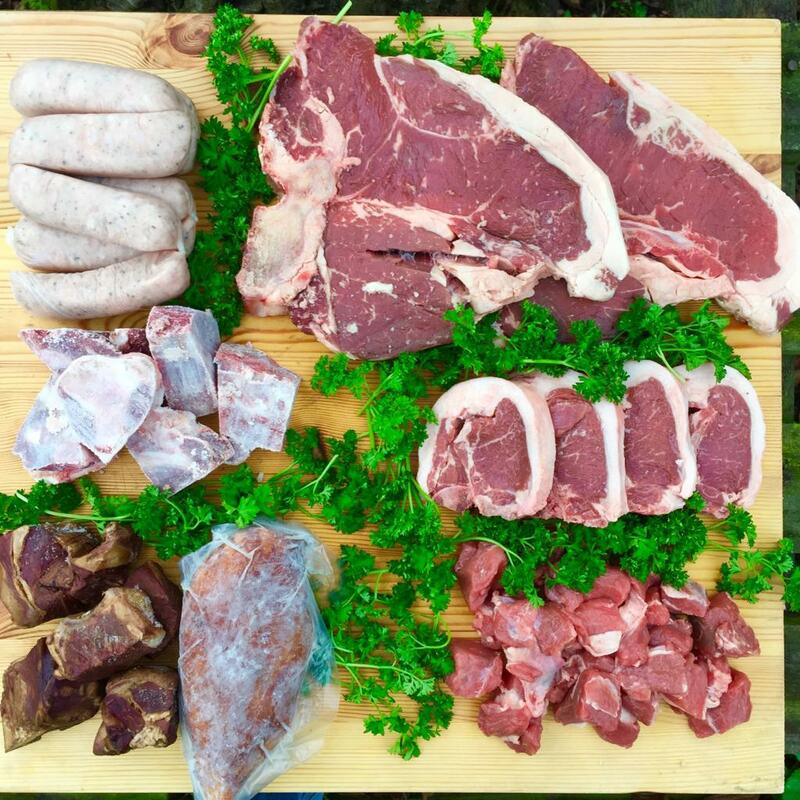 Beef steaks, lamb and sausages are all sourced from small farms in East Anglia. The smoked goat meat and chicken are hot smoked and ready to eat. The goat meat is imported and has a deep flavour when slow cooked. All the meat is frozen to lock in the freshness and arrives in an insulated box. Prices include packaging and courier. 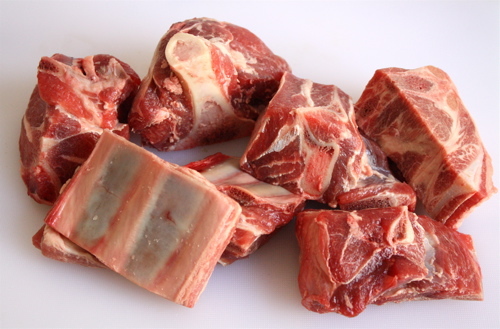 5 kg Diced Goat Meat - This pack contains 5 x 1 kg bags of frozen, diced goat meat, on the bone. The meat is imported from Europe. Price is inclusive of mainland UK delivery. 10 kg Diced Goat Meat - This pack contains 10, 1 kg bags of frozen, diced goat meat, on the bone. The meat is imported from Europe. Price is inclusive of mainland UK delivery. 5 kg Smoked Goat Meat - This pack is 5 kg of cubed, smoked and frozen goat meat. Imported and on the bone. The goat meat is cured and smoked at Smiths Smokery in Lincolnshire. No artificial preservatives, additives or colours are used in the smoking process. The hot smoking technique cooks the goat meat and adds extra flavour. 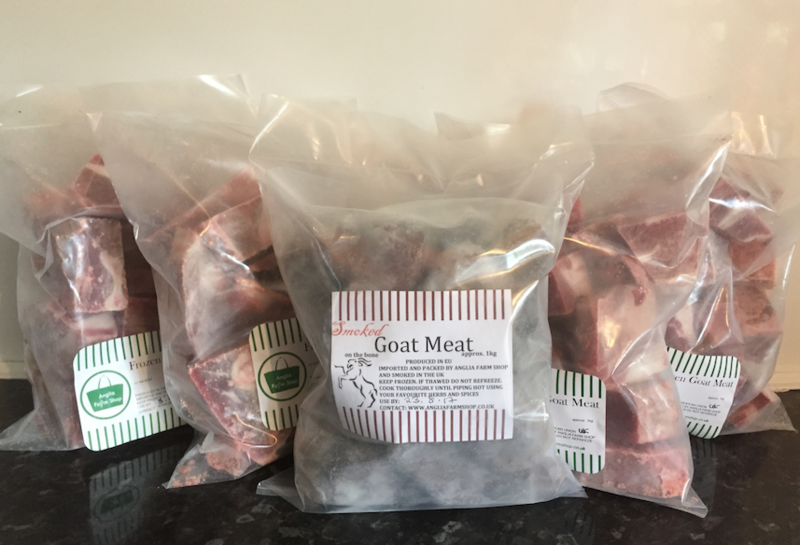 Once the goat meat is back with us, it is bagged in to 1 kg bags and frozen ready for sale. The smokey goat meat can be cooked with your favorite herbs, spices and sauce. Perfect for slicing thinly on to salads or as a tasty snack. 4 kilograms of regular diced frozen meat on the bone with an additional kilogram of hot smoked frozen meat. Groundnut Stew - This meal is inspired from West Africa where peanuts, spices and goat meat are bought together to make a rich, silky stew. The meat has been browned and stewed in vegetable stock and onion, and removed from the bone, before being added to the tasty sauce. Rice or boiled yams are a good accompaniment with fried plantains and salad. Goat Chilli con Carne - The spirit of Spain and America comes through with this vibrant dish of tasty goat meat, tomatoes and red kidney beans. The meat has been browned and stewed in vegetable stock and onion, and removed from the bone, before being added to the spicy sauce. Red Pepper and Tomato Stew - Fresh red peppers and tomato passata gives this ready meal a light and tasty sauce, that goes well with baked potatoes, rice or yam. The meat has been browned and stewed in vegetable stock and onion, and removed from the bone, before being added to the sauce. Dopiaza Style Curry - This Indian style curry is made with fresh onions, tomato passata and a beautiful blend of curry spices. Nice served with rice and vegetable dish with bread and a hot chutney. The meat has been browned and stewed in vegetable stock and onion, and removed from the bone, before being added to the sauce. All payments are processed through PayPal, most major credit and debit cards are accepted. For deliveries outside of mainland Uk please contact us first. For enquiries about fresh goat meat please contact us via email. 25% discount on your third order! Please contact us with your order.